This selection of poetry conveys the author’s passion for these extraordinary creatures, co-inhabitants of our world, whose appearance, voice and behaviour, especially flight, continue to inspire. This book will appeal to all who delight in seeing wild birds in a natural setting, whether in the garden or park or as an integral part of the lanscape. 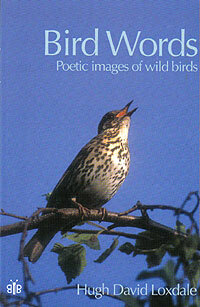 The poems concern birds from a wide variety of places around the world, - from the woods of England and the mountains of Arizona to the forests of a Caribbean island and the wild southern oceans, home of the Wandering Albatross. Sandbank and coastal waters rife. Dr. Nick Carter, British Trust for Ornithology.